High-quality robust hose connector. The hose securely fixated with the union nut, yet it can easily be released by hand. This connector is angled by 90°. This system ensures maximum safety and easy installation. 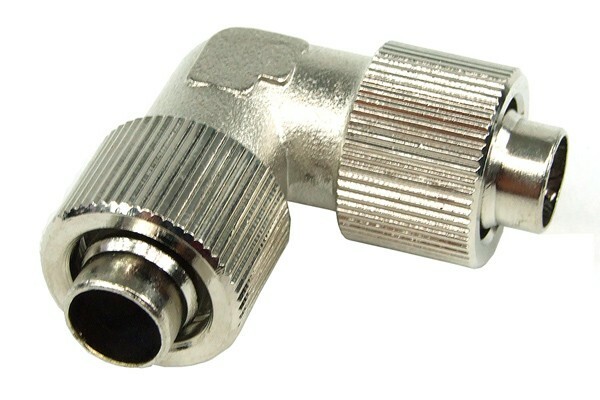 The hose connector is compatible with hoses with an outer diameter of 13mm and an inner diameter of 10mm.